Marketing Agency - when it comes to marketing, the focus typically shifts towards the web. Traditional marketing methods continue to work for certain products and for certain regions, but when you are looking out for an affordable global exposure, digital marketing provides you the best platform. Marketing means selling goods or services. The idea is to woo customers to buy products even if they do not require and two, make sure they buy your brand. A digital marketing agency typically does that by exploiting several online avenues. Digital marketing agencies devise online marketing strategies for your company and products. This includes market research, customer reaction and behaviour, employing social platforms to create a buzz, planning short and long term goals, building widgets and scrutinizing every aspect of your company in detail. For a successful web presence in terms of popularity, sales and profits a number of strategies have to be developed. 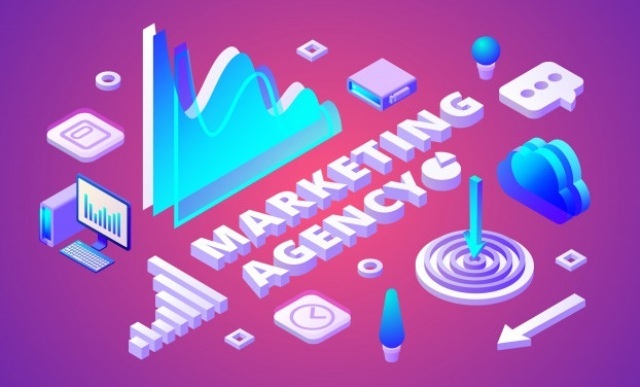 There are companies who specialize in providing these services or strategies to build a creative, effective, sustainable and affordable marketing plan. Below mentioned are some of the services that these companies offer. Traffic generation Is One of the essential ways to increase traffic to your website is via search engines. This is also called as organic search. Tweaking or optimizing the site to fetch top position in the search results page is a part of online marketing services. Pay per click marketing service, This generally involves bidding for popular keywords which are related to your products or services. This is also called paid search. You generally need to bid more for a higher position. Link building service, Building inbound links fetches a higher rank in the search results page. Relevancy is important. Online copywriting, Providing whitepapers, articles and blog content for the visitors. Over a period of time your site not only sells products and services but also becomes a source for product reviews and general information. Social media, Using social platform to interact with potential customers, allowing them to vouch for your products and services. Email marketing, One of the oldest online marketing method, but still used in tandem with others for effective results. Internet marketing services includes a myriad of tasks such as website design and development, integrated online presence with the help of platforms such as Google+ & Wikipedia and optimizing the site for social media search. Online reputation management and creating knowledge hub completes the entire gamut of tasks that is essential for a successful internet presence. It can be disconcerting to see a Company totally disheartened with their marketing efforts. Individual workloads are high and it may be that no one simply has the time to monitor marketing results properly. Enquiries come in, quotes and orders are processed but has anyone taken the time to establish exactly how that new customer heard of you? Even if the question is asked it can be difficult to get to the truth. The customer will often say, 'someone recommended you.' What they won't say is that actually they were aware of you previously having seen your marketing activities, possibly subliminally, many times. The Charted Institute of Marketing (CIM) released results of a survey which showed that prospective clients will need to see your output 5 to 7 times before they feel comfortable enough to contact you. Constant exposure increases your credibility, reassuring the customer of your standards and longevity. We are all concerned about being rippped off, why should a customer trust you? The fact is that everything your Company does and says, your image and your service communicates a perception. On this a reputation is built and having spent so much time and money it is foolhardy to allow any negatives to filter in with gaps in activity or instances of poor service. My advice is to take a structured and methodical approach ensuring that marketing activities are constant. Collate the information on your activities within one central document. Record all details including the cost and over time try to establish what sales resulted. Instigate an after sales evaluation process, ask the customer what they thought of your service, how and why they chose you? Results often follow a pattern allowing you to hone both your marketing activities and your service delivery over time. Timing can be critical. If you are selling barbeques for example you need to be ramping up your communications for the first spring break. Planting the thought of long, summer days ahead with some choice words and attractive graphics. It is also important to vary activities, to alternate media channels giving your target market the opportunity to read your communications via as many routes as possible. Online marketing should never be ignored. Google released some statistics in October 2011 that indicated nearly 40% of searches made within their search engine came from smart phones. This will only increase and it is essential that your website can be viewed properly on these devices. Ask your web designer for advice. Above all however, do not give up the fight. Nothing worth having comes easy, marketing works, just keep going and keep measuring. 0 Response to "Marketing Agency For a Successful Online"